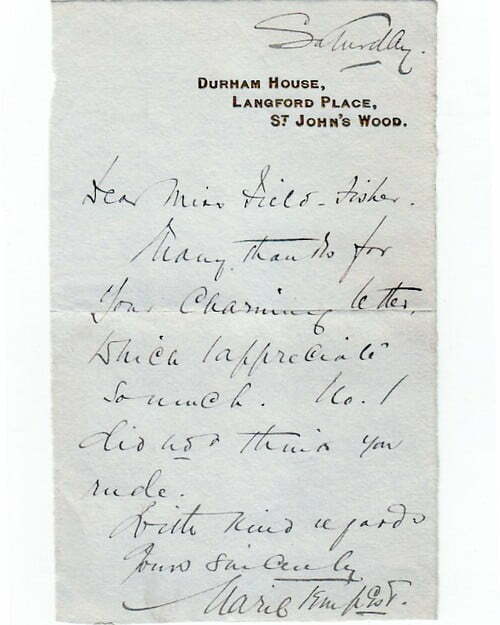 Autograph Letter Signed, to Miss Field-Fisher, thanking her for the charming letter. A good one page example, 7 x 4½ inches. Durham House, Langford Place, St John’s Wood, undated. Dame Marie Tempest (1864-1942), singer and actress.